Have you made a 2017 to-do list yet? Is it full of things you should do, but don’t really want to do, like “exercise more” or “breakup with Peanut Butter M&M’s”? Is it kind of chore-y? Here at Style, we think a to-do list should inspire and get you excited about the coming year, so we’ve compiled a number of fun, enriching activities that you can do locally in 2017. Whether it’s competing in a triathlon, taking a class, exploring local history, or eating something really huge just for fun, the list that follows is zero-percent chores and 100-percent fun. (Besides, Peanut Butter M&M’s are good.) Here's to a great year! To quote Tina Fey, the first rule of improvisation is “Always agree.” Learn the joys of agreeing, thinking on your feet and creating comedy through collaboration by signing up for an Improv Class at Rocklin’s Blacktop Comedy. Classes run for six to eight weeks and new classes begin every two months. 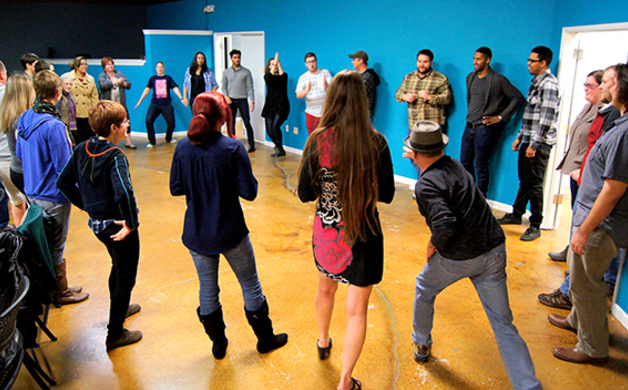 Start with Improv 101 and work your way through all four classes, as you gain confidence and make some new friends along the way. Check out their comedy nights as well! Blacktop Comedy, 3101 Sunset Boulevard, Rocklin, 916-749-3100. Release your inner Bob Dylan, Lita Ford or Tiny Tim with some guitar or ukulele lessons. 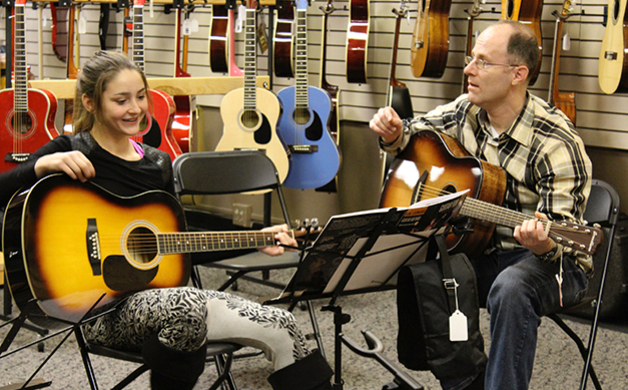 The Strum Shop in Roseville offers group music lessons in guitar and ukulele, for kids or adults, and for beginners or advanced students; or sign up for private lessons in other instruments as well. If you’re strum-curious and like to hide out in a crowd, there’s free group events: Join in their free ukulele strum-alongs, banjo-ukulele club, jam workshops, Irish slow sessions and more. Tune up, turn up and rock out! The Strum Shop, 209 Vernon Street, Roseville, 916-787-8786. 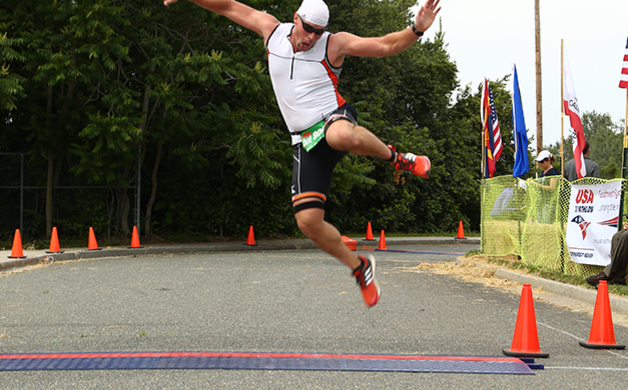 The Auburn Triathlon is known as the “World’s Toughest Half”; let the nickname be a motivator rather than a deterrent, and see if you have what it takes this year. On May 21, competitors will take part in this take-no-prisoners half-Ironman distance event: Swim 1.2 miles, bike 56 miles and run 13.1 miles from Folsom Lake to the American River Canyon Overlook Park and through Auburn State Park. Take in the beauty of the Sierras as the mountains silently mock your pain. Register now! How do you feel about burgers the size of a small child? 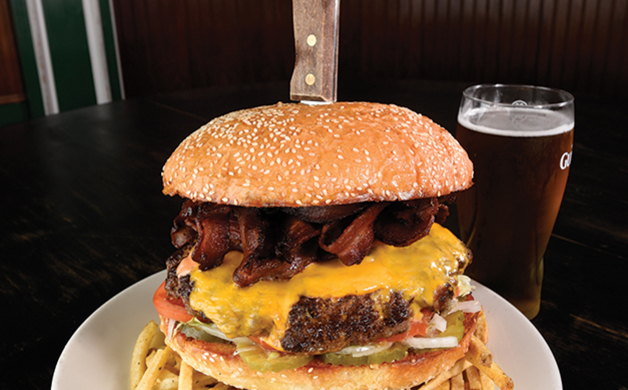 If your answer is “hungry” then belly up to the Boxing Donkey’s Big A$$ Burger Challenge. Wrap your laughing gear around one pound of hand-pressed and seasoned Angus beef, 1/2 pound of crispy, thick-cut bacon, 1/4 pound of cheddar cheese, lettuce, tomato, onions, pickles and homemade Thousand Island dressing—all piled on a fresh eight-ounce bun and one pound of hand-cut Donkey Fries. Many have tried, few have succeeded. (Many have lain, quietly moaning in a fetal position in the corner afterwards.) Boxing Donkey, 300 Lincoln Street, Roseville, 916-797-3665. Swirl, sniff and sip your way through the Placer County Wine Trail’s 19 wineries and counting. 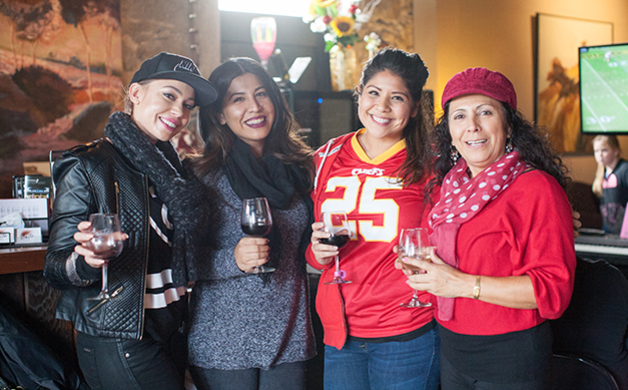 Meet the winemakers from boutique wineries in Auburn, Lincoln, Loomis, Newcastle, Rocklin and Meadow Vista, and sample some of their award-winning vinos. Make it a day trip, spend the weekend, or make it a habit. Whatever you do, be sure to keep an eye out for special events! 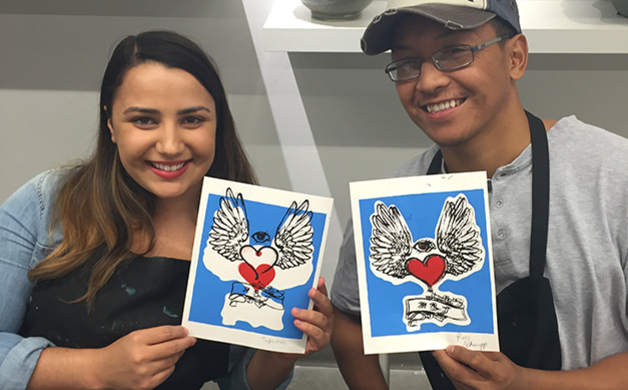 Keep your eyes peeled for crafty goings-on at Blue Line Arts this year—don’t miss their monthly “Date Night at the Gallery,” where local artists lead you and your partner in a hands-on interactive creative class. And be on the lookout for special workshops and other fun events that will keep your creative juices flowing. Blue Line Arts, 405 Vernon Street, Suite 100, Roseville, 916-783-4117. Beer is cool. Duh, right? But trend-wise, there’s nothing cooler than craft beer and Placer County is definitely part of the cool crowd with 13 breweries and counting. Take a brew tour and see for yourself. 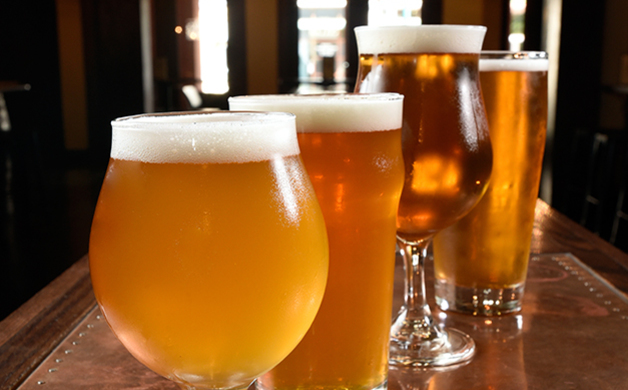 From The Monk’s Cellar and Roseville Brewing Company, to Out of Bounds Brewing Company and Dragas Brewing, all the way up to Crooked Lane Brewing Company, Moonraker Brewing Company and Knee Deep Brewing Company in Auburn, there’s more than enough craft beer to keep you hop-upied. 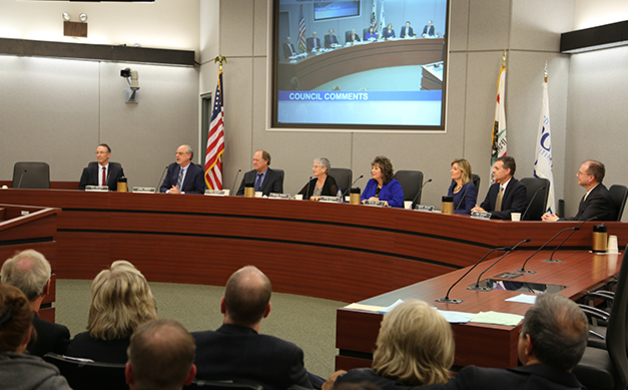 Participate in local government and attend a Roseville City Council Meeting, held on the first Wednesday of the month at 7 p.m. in the council chamber located at City Hall (311 Vernon Street). Agendas are available the Friday before meetings and posted outside the council chamber, the City Clerk Department and online at this link. Dream of being a flying superhero? Make your dream a reality with the help of indoor skydiving! iFLY in Roseville can get you two flights for $69.95—all the way up to party packages of 24 flights for 12 people (now that’s a party!). No equipment, no parachute—just you and the wonders of physics; oh, and a certified instructor (who will hang with you every step of the way, from suiting up to taking flight). Get airborne! iFLY, 118 Harding Boulevard, Roseville, 916-836-4359. Are you hell on wheels? How’s your hip check? Do you love big, beautiful bruises? 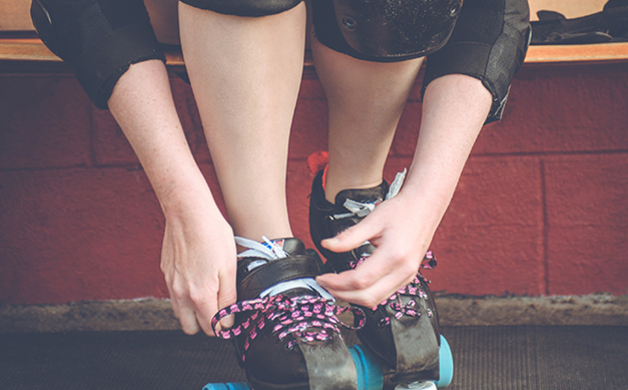 Try out for roller derby! Check out Sacramento’s Sacred City Derby Girls training tryouts—no experience required; gear provided—to see if you’ve got what it takes. Or, go see them in action at a local bout during the season and cheer our rolling badasses to victory! Everything old is new again at Roseville’s Carnegie Museum. The 102-year-old magnificent museum is freshly renovated and ready to take you into the past. 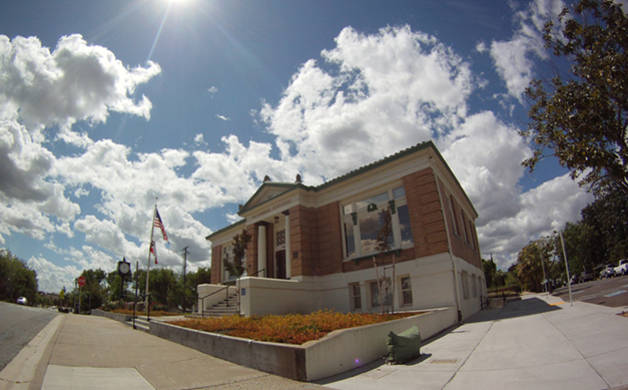 Dig into the rich history of Roseville and check out some of the new exhibits, including a children’s area where they can play and learn about history. Museum hours are Monday through Friday noon to 4 p.m. Carnegie Museum, 557 Lincoln Street, Roseville, 916-773-3003. Is the world finally ready for your One Direction? 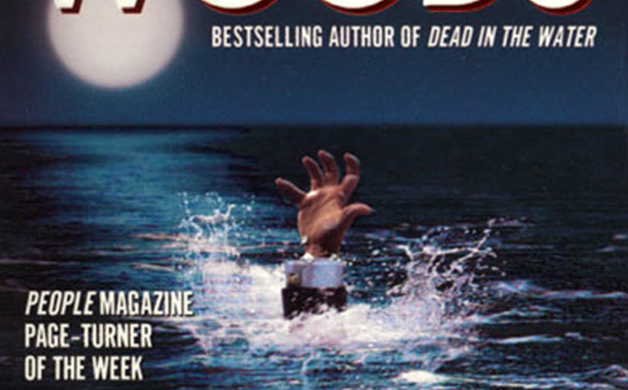 Loggins and Messina burning a hole in your…larynx? 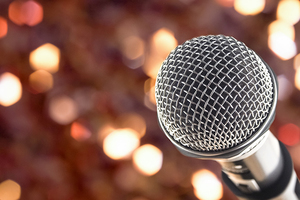 Singing karaoke at The Almond Tree Grill and Lounge is a Roseville tradition. Swing by on Wednesday, Thursday, Saturday or Sunday nights and sing your heart out! The Almond Tree Grill and Lounge, 214 Harding Boulevard, Roseville, 916-782-5052. Looking to dangle a toe in further education? Try Sierra College Community Education’s short-term, not-for-credit, fee-based classes. Everything—from creative arts and writing to business, technology, dance and much more—is available. There are also travel-centric classes—learn basic French, Italian or Spanish before your trip overseas; or go all-in and take an international group tour to an exotic destination. Enjoy some wine and let your creative juices flow at one of High Hand Nursery and Café’s regular Sip and Paint events, held on the first Saturday of every month from 1-4 p.m. Savor hors d'oeuvres from their restaurant as you sip, paint and laugh your way through an afternoon. Seats are usually limited, so sign up early. Check Facebook or the website for the next event, or visit the nursery and peruse the art gallery and local wares in The Fruit Shed, before dining on great local food at the café. High Hand Nursery and Café, 3750 Taylor Road, Loomis, 916-652-2065. Camp in nature’s beautiful backyard right here in Granite Bay at Beal’s Point on the shores of Folsom Lake. Year-round camping is available, along with pedal boat, sailboat, canoe, shade canopy and raft rentals from the Beal’s Point Snack Bar. Enjoy your staycation and go fishing, biking, running or rollerblading on the awesome trails around the lake, or just chill with an adult beverage. 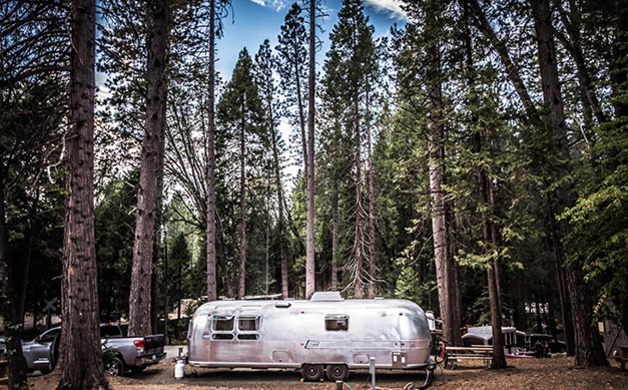 Inn Town Campground, sited amongst the towering pines less than two miles outside of Nevada City, is open year-round and the perfect locale for small, two-man tents, family tents, vintage caravans or tent trailers; what’s more, a communal building is full of comfortable amenities like an eating area, TV, showers and foosball. For the glampers in the group, they offer deluxe canvas tents with electricity, real beds and linens. 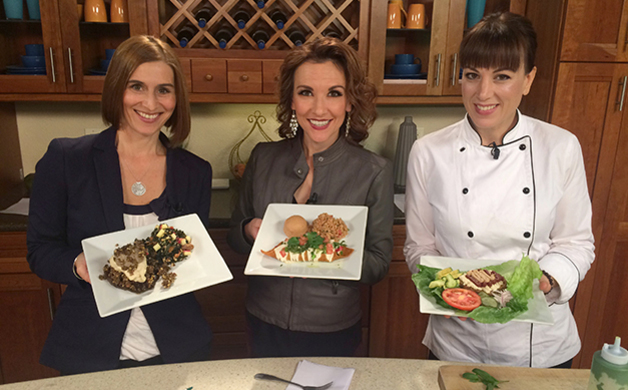 Learn the art of nutritious, gluten-free cuisine at The Green Boheme in Roseville. Sign up for the Monday night “Dine and Demo”—for $45 you’ll get dinner, dessert, a drink and a cooking demonstration from award-winning Chef Brooke, as well as delicious recipes to take home. Pre-registration is required, as seating is limited. The Green Boheme, 1611 Lead Hill Boulevard, Suite 160, Roseville, 916-474-5609. The true path to well-being is service to others in your community. One way to do that is to become a volunteer. 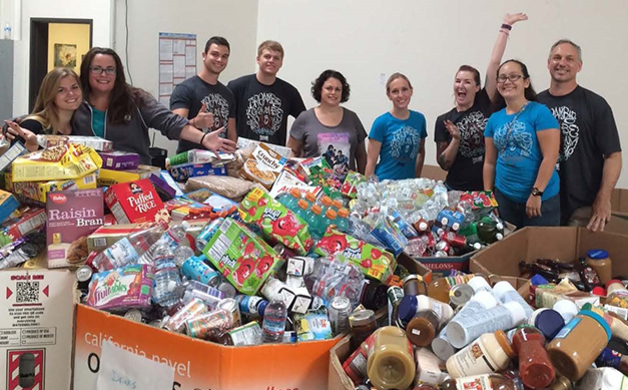 Placer Food Bank is always seeking assistants to help in the mammoth task of eliminating hunger in our region. Volunteers are scheduled in advance; contact Belinda Arquilla, program manager, at volunteer@placerfoodbank.org or call 916-783-0481 x. 102. Whether it’s in the warehouse our out in the community, help is always needed and appreciated; check the website for current opportunities. In 2016, Maidu Museum and Historic Site received the fifth annual Superintendent's Awards for Excellence in Museum Education by the California Association of Museums and the Office of the State Superintendent of Public Instruction—one of only six museums in California to receive the award. Visit this local treasure and gain a full appreciation of the culture and ingenuity of the Nisenan; better still, become a member in 2017 and help the museum grow and develop more new and exciting exhibits. 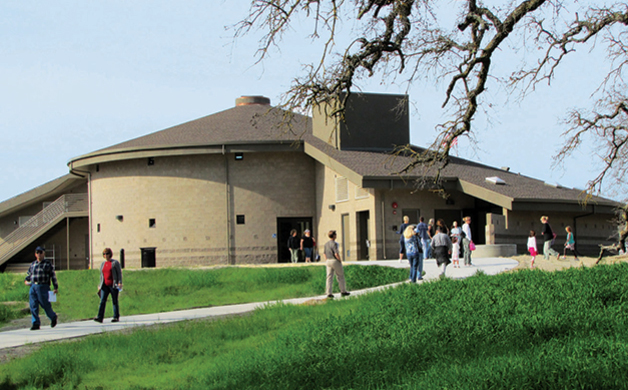 Maidu Museum and Historic Site, 1970 Johnson Ranch Drive, Roseville. Don’t let your precious moments slip by uncaptured—hire a professional photographer like Christie Provost to preserve those precious moments forever. Christie can help you put together a beautiful family portrait, pet portrait, maternity photo or memento of your children or grandchildren…or all of the above! Whatever your needs, she can make your ideas a reality. Christie Provost Photography, 530-333-3782. Child Advocates of Placer County supports abused, neglected and at-risk children by providing Court Appointed Special Advocates (CASAs). 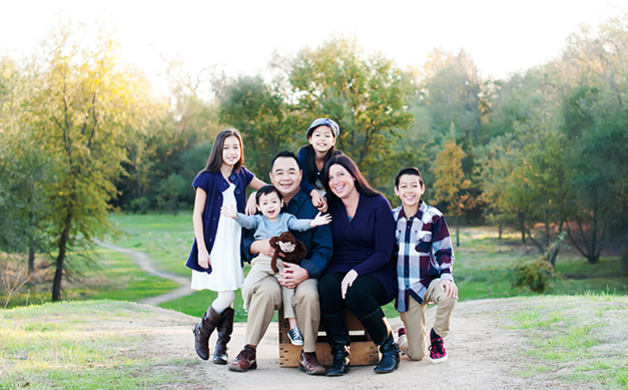 Volunteer to become an advocate for Placer County kids today. 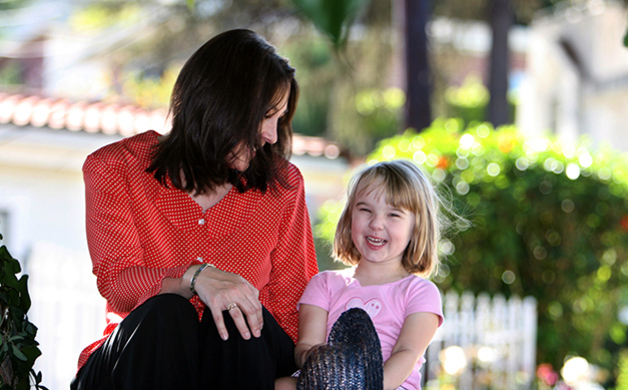 Child Advocates of Placer County, 3715 Atherton Road, Suite 1, Rocklin, 530-887-1006. 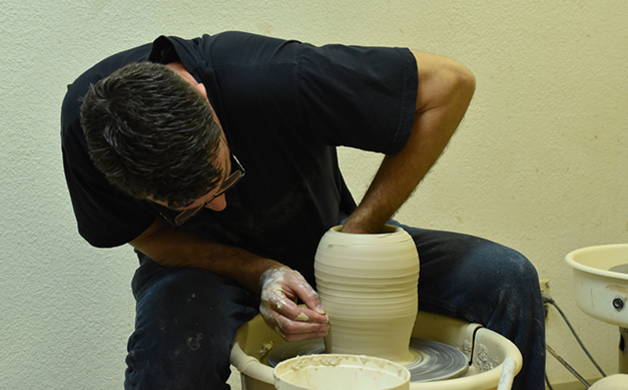 Throw some clay around and get creative at Allied Ceramics Art Institute (ACAI) with classes in hand-building, wheel-throwing or a mix of techniques, or studio classes for more advanced artists. Still not sure? Sign up for a free trial lesson online and take ACAI for a test drive! They also offer studio space, private lessons, parent-child classes, birthday parties and much more. ACAI Studios, 7425 Winding Way, Fair Oaks, 916-966-2453. Add some shine to your life and get into jewelry making at The Bead Shoppe in Roseville. 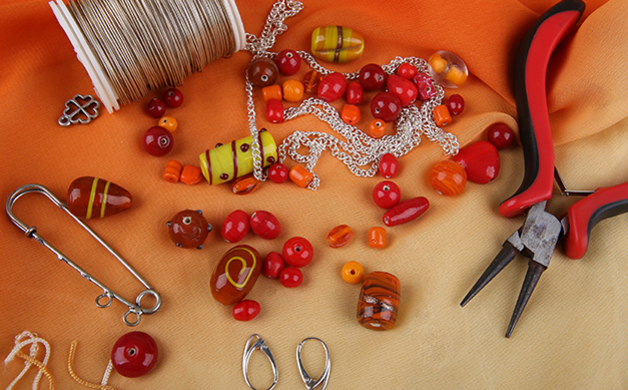 Whether you covet art-teacher sculptural beads or you crave the finer things with some Swarovski bling, they’ll help you get the skills to cater to any style. Classes are available for both beginners and those more advanced (all ages welcome), and private one-on-one lessons are available too. The Bead Shoppe, 2030 Douglas Boulevard, Suite 42, Roseville, 916-782-1014. 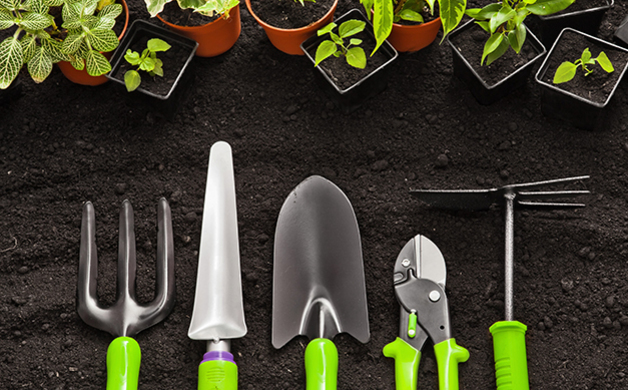 Whether you’re already a green thumb, or a novice interested in green gardening, learn how to keep your garden growing and sustainable at one of the Master Gardener’s Green Gardening Workshops. From growing your own edibles to wonderful wiggly worms and all things vermiculture, irrigation, composting and much more, the experts will teach you the skills needed with a variety of classes, both free and paid. Call 916-746-1550 to register in advance. 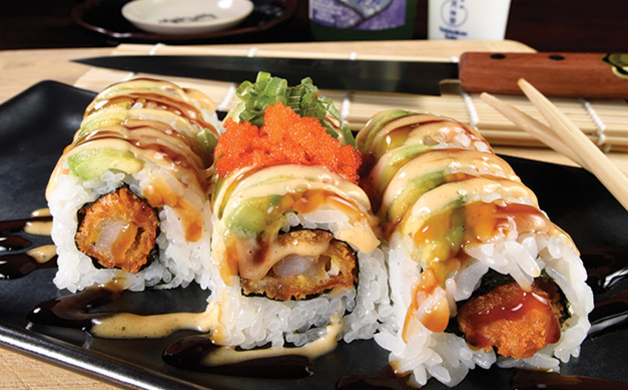 Have you ever pondered the construction of your temaki before gleefully devouring it? Ever wondered if you could create your own sushi? Maybe this is the year to unleash your inner sushi chef. Mikuni Sushi Roseville offers Sushiology Ichi (1), a class where you’ll learn how to make temaki (California Roll) and urumaki (Inside Out Roll) plus their popular Fair Oaks Roll, among others, and participate in sake tasting. Classes are $65 and take place January 17, February 21, March 21 or April 12 from 6:30-8.30 p.m. Must be 18 or older. Wild horses might not drag you away but have you considered a tamed, well-trained horse? Visit Los Lagos Equestrian Inc. and get yourself some horseback riding lessons. Heather Kelly offers beginner lessons for all ages (even toddlers). 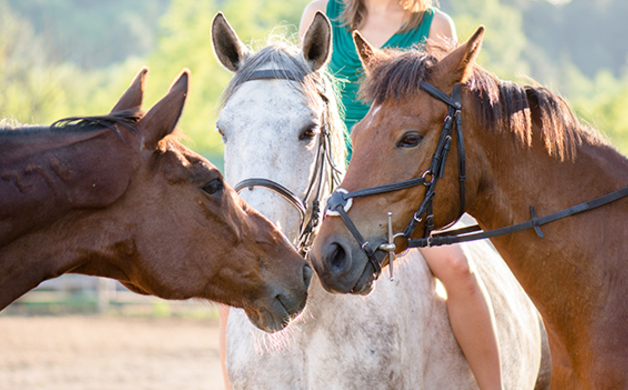 You’ll not only learn safe riding techniques, but grooming, horsemanship and proper care as well. $50 per lesson ($30 for toddlers). Los Lagos Equestrian Inc., 6525 Boulder Road, Granite Bay, 916-759-6894. Golden 1 Center is proving to be Sacramento’s newest crowning achievement (yes, that was an intentional Kings pun). Mark your calendar for these exciting upcoming concerts: Twenty One Pilots on February 11, Bon Jovi on February 28, Ariana Grande on March 26, Eric Church on March 30, March Madness from March 17-19 with Rounds 1 and 2 of the NCAA Division 1 Men’s Basketball Championship, and of course you can always show the Sacramento Kings some love by attending one of their regular home games! Join the coffee culture and explore the happenings and good vibes at your local coffeehouses. Try Shady Coffee and Tea (shadycoffeeandtea.com) at 325 Douglas Boulevard in Roseville for open mic nights every Friday or volunteer as a barista at Origin Coffee in Rocklin (2168 Sunset Boulevard) and do your part to help this non-profit community organization end human trafficking. and the flagship exhibition Out Our Way celebrates the first generation of artists who put the UC Davis Department of Art on the map from 1958 through the early ’70s: heavy hitters like Wayne Thiebaud, Robert Arneson, Manuel Neri, Roy De Forest, William T. Wiley and Roland Petersen, among others. 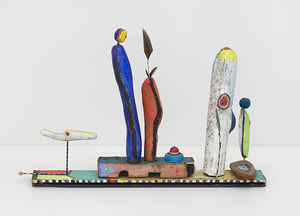 The exhibit contains 240 paintings, sculptures, drawings and prints, and will be on view through March 26. Admission is free. Open Tuesdays, Wednesdays and Fridays from noon to 6 p.m.; Thursdays from noon to 10 p.m., and Saturdays and Sundays from 11 a.m. to 5 p.m. Manetti Shrem Museum of Art, 254 Old Davis Road, Davis, 530-752-8500. Old or new? How about a little from column A and a little from column B with Sacramento Philharmonic and Opera’s 2017 series, featuring Vivaldi’s Four Seasons on January 21, Verdi’s immortal opera La Traviata on April 29, The Music of David Bowie: A Rock Symphony on January 14 at 8 p.m., Pet Sounds Live: A Beach Boys Celebration on April 8 and so much more. All shows take place at the Sacramento Community Center Theater. If you can’t stand the heat, get out of the kitchen; but if you think spice is nice, try Buffalo Wild Wings’ Blazin’ Wing Challenge. For $12, you get a dozen of the chain’s chicken wings bathed in their aptly named “Blazin’” sauce. If you can eat them all—sans sauces and napkins, without anything to drink—in less than six minutes, you’ll get your photo on their wall of fame and a T-shirt. 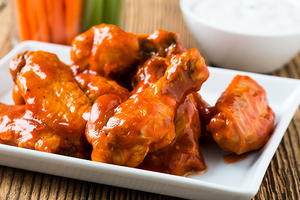 If you don’t mind watery eyes, burning lips and a sweat-filled face, these wings just might be your thing. Buffalo Wild Wings, 1168 Galleria Boulevard, Unit 200, Roseville, 916-742-5153. All other photos courtesy of their respective companies.